Material Compatibility refers to a material's resistance to corrosion, rust or stains when it comes in contact with a chemical. 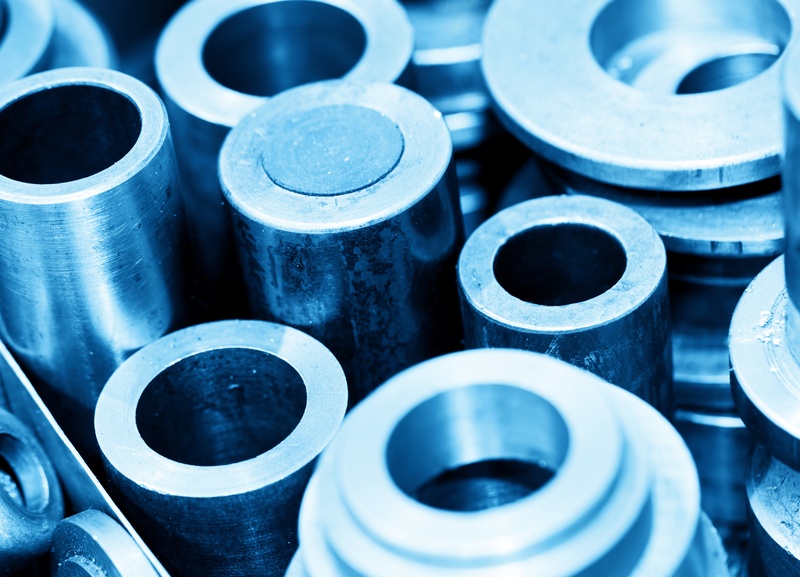 The properties of stainless steel (ss) make it an ideal material for numerous applications, such as pipes, airplanes, bridges, architecture, pressure transducers and manufacturing equipment. Although stainless steel is the leading material choice for many applications, it is fundamental to review its material compatibility. Since stainless steel's ability to withstand certain media varies based on chemical processes, preparation should take place prior to stainless steel usage in applications. Preparation ensures protection and extends the lifetime of the stainless steel material when in contact with chemicals. For example, products using wetted materials, especially pressure transducers are susceptible to hydrogen embrittlement caused by contact with hydrogen. On the right is a Material compatibility chart, comparing and highlighting the major differences between 174SS and 316SS. Figure 1 shows how to interpret the chart. B: Good - Minor Effect, slight corrosion or discoloration. C: Fair - Moderate Effect, not recommended for continuous use. Softening, loss of strength, swelling may occur. D: Severe Effect - not recommended for ANY use. 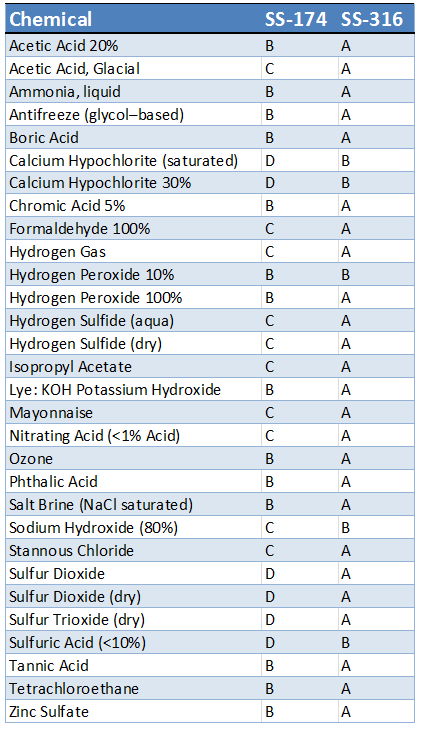 The information in this chart has been supplied to Setra by other reputable sources and is to be used ONLY AS A GUIDE in selecting equipment for appropriate chemical compatibility. Before permanent installation , test the equipment with the chemicals and under the specific conditions of your application. DANGER: Variations in chemical behavior during handling due to factors such as temperature, pressure, and concentrations can cause equipment to fail, even though it passed an initial test. Ratings of chemical behavior listed in this chart apply at a 48-hr exposure period. Setra has no knowledge of possible effects beyond this period and does not warrant that the information in this chart is accurate or complete or that any material is suitable for any purpose. To avoid serious injury, use suitable guards and/or personal protections when handling chemicals. 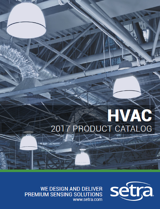 CLICK HERE to learn more about Setra’s industrial market.